Is it correct for students of esoteric philosophy to consciously visualize and think of a sane future for mankind, for the countries where they live, and their cities? A few theosophists raised questions about it, and risked two opinions. One is that such a practice seems to belong to the New Age movement; and anything belonging to such a movement should be automatically considered wrong from a theosophical perspective. The other opinion is that thinking good of mankind’s future would be a wrong use of psychic powers. 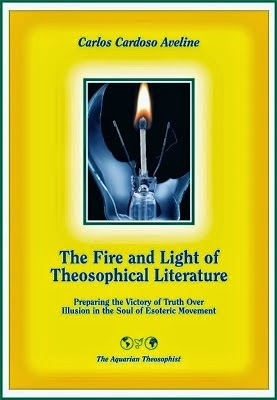 Let’s then try to examine the two points, while avoiding repetition of what has been already said in the book “The Fire and Light of Theosophical Literature” and elsewhere. First, one should investigate what is the actual relationship between the original teachings of theosophy and the concept of New Age. A few theosophists may experience a pleasant feeling of intellectual and spiritual superiority as they think of the “New Age” movement. “Theosophy”, they think, “is far above all these groups”. They are wrong. Theosophy is at the very heart of the New Age idea. The authentic teachings of esoteric philosophy constitute the source and center of the New Age movement. The book “Helena Blavatsky”, by Sylvia Cranston, provides an overwhelming amount of evidences about that. Chapter 10 of Part 7 in Cranston’s book demonstrates that Helena Blavatsky can be correctly called “the mother of the New Age”. The phrase New Age fully coincides with the concept of “New Cycle”, which was constantly used by HPB in her writings. 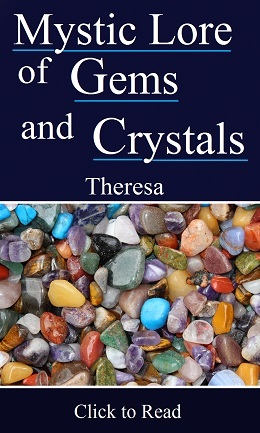 The original teachings of theosophy are the main writings regarding the new cycle or age. The foundation of the theosophical movement in 1875 gave a new impulse to the transition, which had started in previous centuries. Although there are many naïve groups dealing in superficial ways with the birth of a new age, it would be wrong to say that the center of a circle has nothing to do with its circumference, or that the essence of something is separated from its outward aspects. As to the intellectual pride which a few theosophists may have, we should be able to examine the way we look at other sectors of the esoteric movement. A severe frankness is always good, and it is recommended and taught by Saturn, the stern co-regent of the new Age of Aquarius. However, one should beware of intellectual pedantry, which is the child of blind belief and mental laziness. Pedantry is no part of Saturn’s, or Uranus’, influence and inspiration towards the new age. No one can be in the presence of an authentic wisdom and still experience a feeling of intellectual or spiritual “superiority”. The fact of being anywhere near wisdom destroys the sense of separateness necessary to the twin illusions of superiority and inferiority. Impulsive criticism and automatic skepticism are but disguised forms of blind belief. Skeptics are eyeless believers: they believe in negativity. Pride, which feeds skepticism, does not exist in the life of a truth-seeker. He whom studies hard for decades attains the Socratic knowledge that he actually knows next to nothing in his lower self, and is therefore utterly humble in his heart. One can partake of the nature of wisdom: one can never possess anything of it. As we look around, and talk to fellow-citizens, the fact emerges that current ideas about human future are both false and inaccurate. The power of thought is being misused, and this is a mistake which must be corrected. On TV and cinemas, science fiction movies make poor adaptations of Far-West bang-bang stories to the cosmic environment of our Milky Way and beyond. In every country, populations are bombarded day and night by images of possible planetary disasters to happen in the future, from comets coming to destroy the Earth in seconds to an ecological Armageddon, not to mention nuclear warfare or political dystopias under buffoon-dictators like Mussolini or Hitler. Financial apocalypse is announced from time to time. Wrongly understood biblical prophecies float in our cultural atmosphere, feeding the poison of constant negative emotions and thoughts. Some of these dangers to be faced by our mankind are real. They must be addressed from the correct point of view, which is a confidence in life, a confidence in human beings, and a confidence in the Law. However, the general trend now regarding human future is still to accept negative feelings and destructive thoughts as if they were realistic. In many scientific circles, obedience to negative feeling is the rule. Present society has depressive thoughts about its future, and these ideas are fundamentally wrong. They constitute a bad dream, and their inaccuracy can be easily seen by the student of Theosophy. Both mankind and our planet are evolving in peace, and this fact does not exclude the end of materialistic civilizations when the time has come for them to end. Regardless of any crisis we may have to face in the near future, humanity is fundamentally OK, and so is its evolution. The means to perceive and see this fundamental fact are available in the teachings of theosophy. Spreading this teaching and demonstrating it is a duty of the theosophical movement. Positive feelings stem from the higher self and lead to a decisive action. They are long-term and realistic. They must be put in motion with a gradually increasing strength. 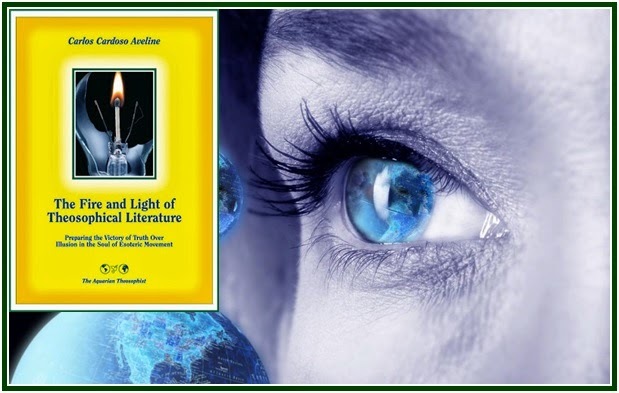 That ideas have an immense creative power is a fact discussed and explained in “The Mahatma Letters” and all over classical theosophy, including “Isis Unveiled”, the book by H.P. Blavatsky. Right thought is one of the items taught by Lord Buddha in the Noble Eightfold Path of Buddhism. 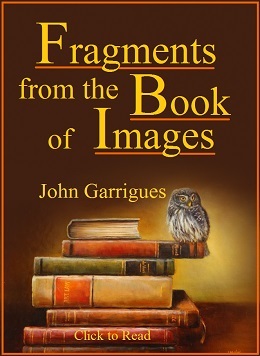 Questionable forms of imagination or image-making must be removed. They ought to be replaced by accurate, sane and healthy thoughts, which result from a sense of responsibility for the future and a perception that the victory of wisdom is the natural thing to happen along life. To visualize, say the dictionaries, is “to make visual or visible; to form a mental image of; to make perceptible to the mind or imagination”. By visualizing a sane future for our mankind regardless of short term events, we practice right thought and replace inaccurate, depressive ideas of our culture by correct ones. In HPB’s time, Bellamy’s description of a future civilization based on brotherhood was an effective form of visualizing a healthy future. In the 21st century, new forms may emerge. However, that ideal cannot be individualistic or selfish. The legitimate aim for pilgrims along the theosophical path is the good of mankind. Human progression is both collective and individual, and thinking of the future according to the plan of evolution depicted in classical theosophy is the best foundation for correct action in the short term. Study of the secret doctrine will provide peace of mind and a clear vision. Those who work for the good of mankind and of their countries must use the creative power of thought in an altruistic way, and replace self-defeating ideas with the correct view of universal brotherhood as the practical Law that guides all beings. See Part Three in the book “The Fire and Light of Theosophical Literature” (The Aquarian Theosophist, 2013, 255 pp.). Among the articles available online one can find in our associated websites “Meditating on Peace in the Middle East”, “Meditation on the Awakening of Mankind” and “The Future of Mankind is Bright” approach the same question. The article “Humanity is in the Making” (this one by S. Radhakrishnan) should also be mentioned. All of these articles can be found in our associated websites. Other related articles will be found in our websites which are not mentioned in the lines above. From “The Yoga Aphorisms of Patanjali”, An Interpretation, by W.Q. Judge, Theosophy Co., India, 1984, 74 pp., see Book II, Aphorisms 33 and 34. The book is available in PDF in our associated websites. “The Key to Theosophy”, Helena Blavatsky, Theosophy Co., Los Angeles, 1987, 307 pp., see p. 44. See item 13 in the text “Commentaries to the Golden Stairs”, by Carlos Cardoso Aveline. The article is available at our associated websites.